Handmade boys 1st birthday card by Jenny Arnott Cards, for a special son, nephew, grandson or baby brother on his first birthday turning one year. 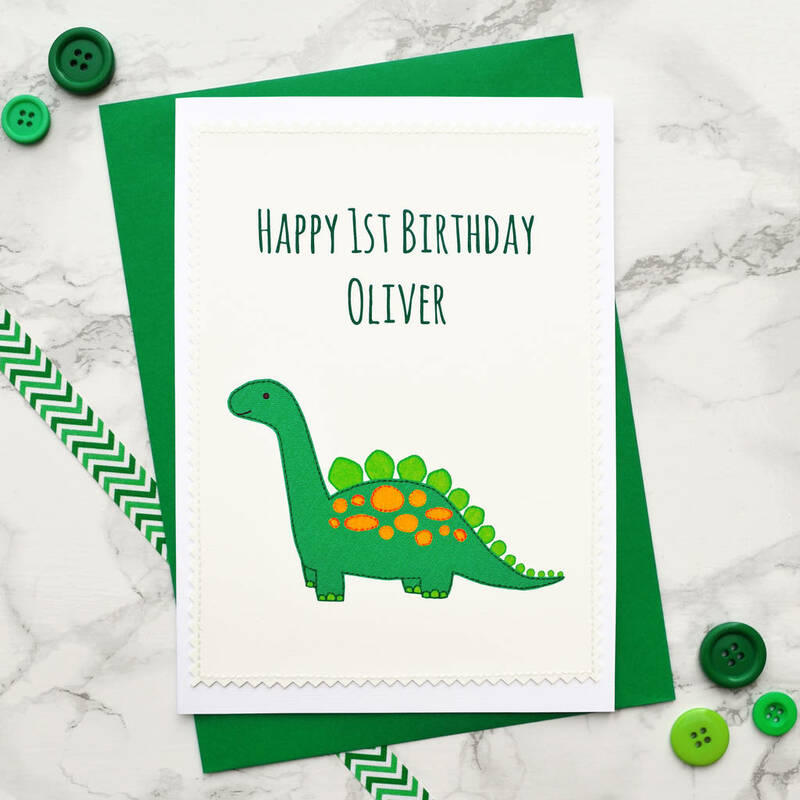 These large A5 sized baby's first birthday cards have a friendly green and orange spotty dinosaur and dark green lettering and are finished with cream stitching. (please note the dinosaur is printed onto the paper - the stitching is around the edge of the card). A beautiful children's 1st birthday card for little boys who love anything to do with dinosuars, it is perfect for a baby son, nephew, grandson, godson, brother or cousin on his special first birthday as he turns one year old. The card is embellished with cream stitching around the edge, giving it a wonderful handmade feel. You could even frame the card, turning it into a first birthday gift that can be kept for years to come. It would look lovely in a simple white frame, displayed in the little boy's nursery, bedroom or playroom. A lovely personalised card for when a little boy turns one, two, three, four, five, six, seven, eight, nine or ten. This lovely birthday card for boys is by Jenny Arnott Cards & Gifts. 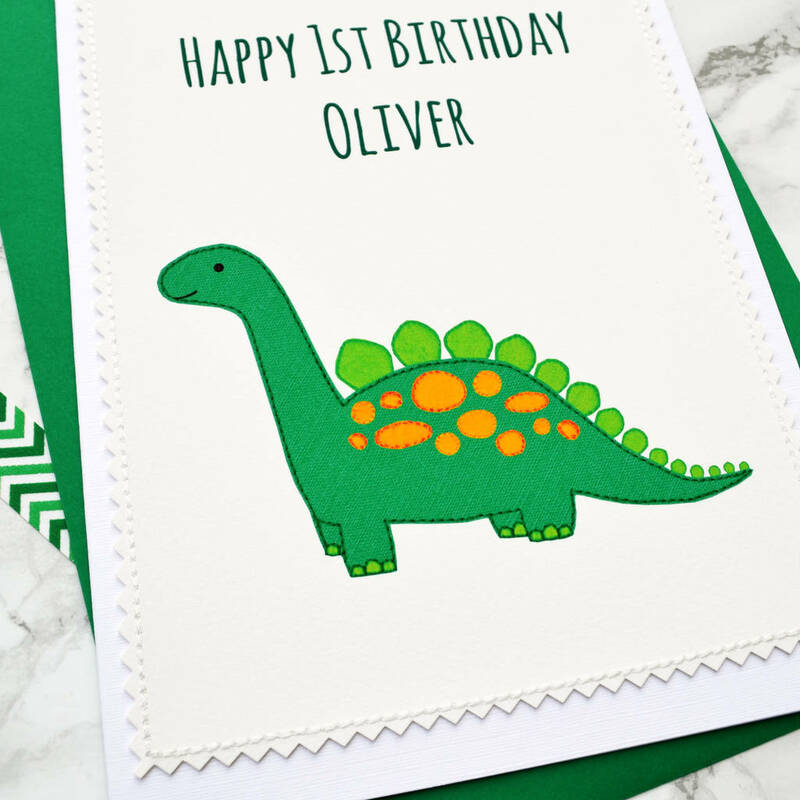 The dinosaur part of the design does retain some fabric textures, however the design is not actually fabric but is printed onto beautiful artisan paper, trimmed with a zig zag edging then embellished with cream stitching before being adhered to a 350gsm textured white card blank. 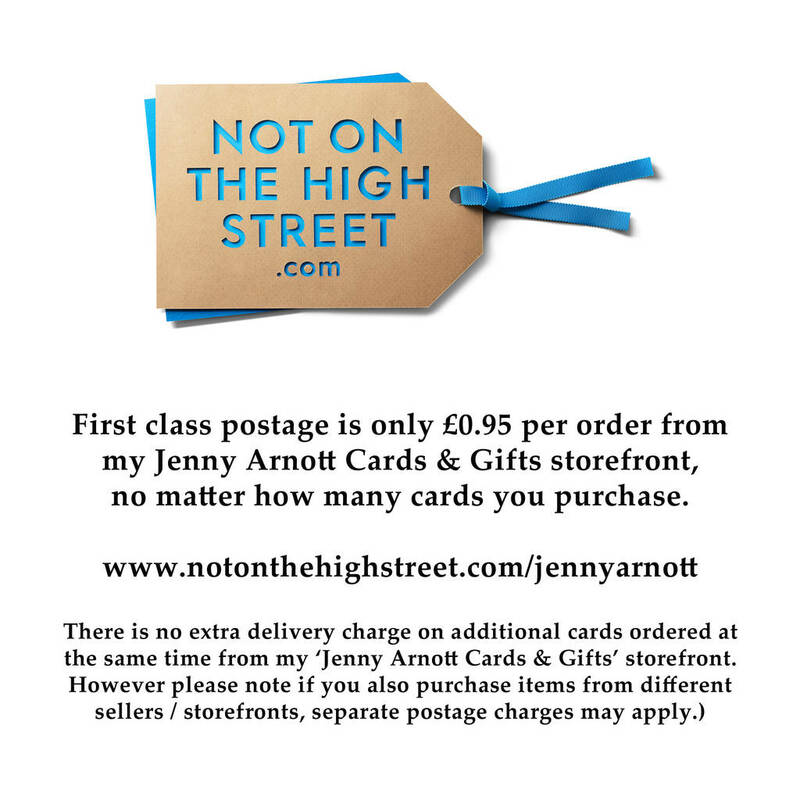 Each card comes with a green envelope and is sent by first class post, protected in a clear cello wrapper and sturdy board backed envelope.